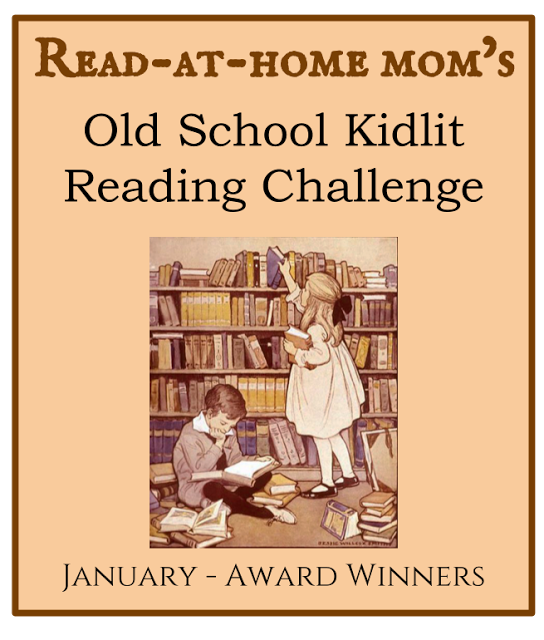 Today marks the end of the first month of the Old School Kidlit Reading Challenge. January's focus was on award winners. If you reviewed or otherwise posted about an "Old School" award winner (or multiple winners) this month, please leave a comment below with a link so other participants can see what you read. Tomorrow, I'll be introducing the February theme, Books You Loved in Childhood. Next month isn't so hectic, so hopefully I will be able to read more Books I Loved in Childhood. For this challenge, I chose Earthfasts by William Maye, which was awarded the Carnegie Medal in 1968, but I also read The Dark Frigate by Charles Boardman Hawes, winner of the Newbery Medal in 1924, Shadow of a Bull by Maia Wojciechowska, winner of the Newbery Medal in 1965, Journey from Peppermint Street by Meindert DeJong, winner of the National Book Award in 1969, and The Hundred Dresses by Eleanor Estes, a 1945 Newbery Honor book, and David and the Phoenix by Edward Ormondroyd, Silver Medalist for the California Book Award in 1957. I hope to read more books for upcoming months, and will check out some of the books mentioned here as well.. Sorry took me so long to come over and link up my reviews. Only got two books read last month both picture books and caldecott winners.